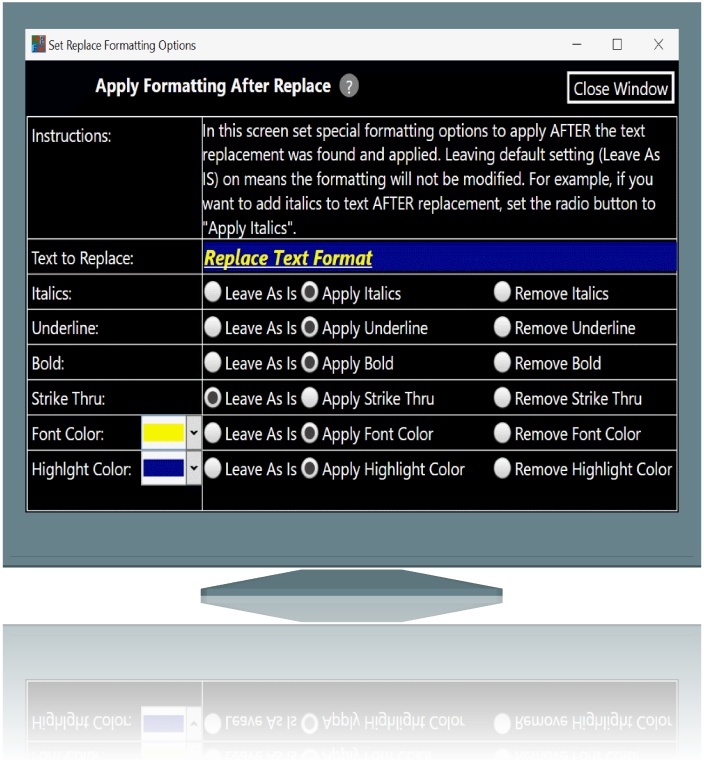 Save time with this easy to use Windows Desktop app by performing multiple find and replace substitutions of text, images, metadata, fonts & connection strings in multiple Microsoft Office Word, Excel, PowerPoint, Visio, RTF and Text documents with no manual editing. Don't take our word for it, see what our customers say here! 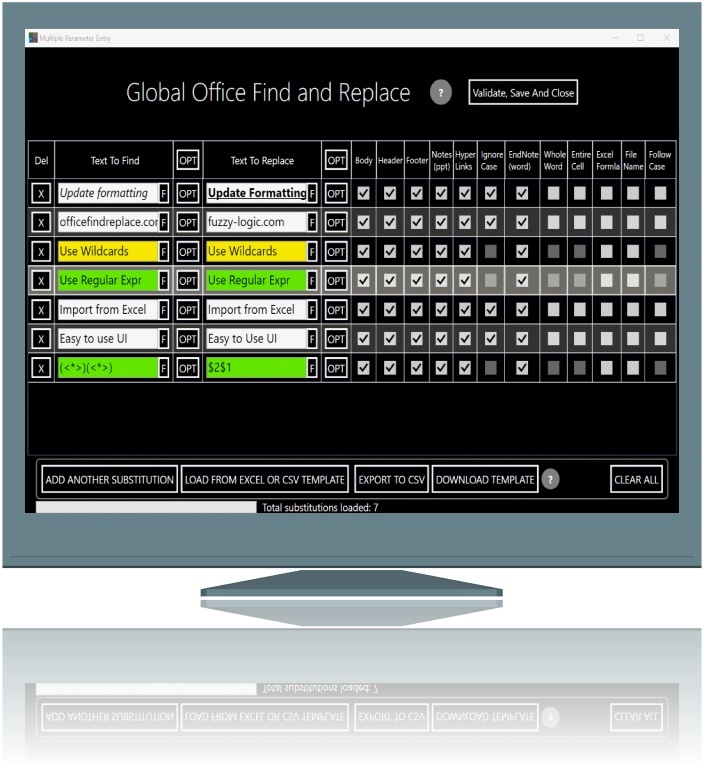 Global Office Find And Replace software lets you perform multiple find and replace operations without opening each Word, Excel, Power Point or text document one at a time. Change text or images or Fonts and Font Sizes or Copyright years and special symbols. Fix broken Connection Strings & clense Metadata Even doing this on one document will save you a lot of time because you can make multiple substitutions in one operation. 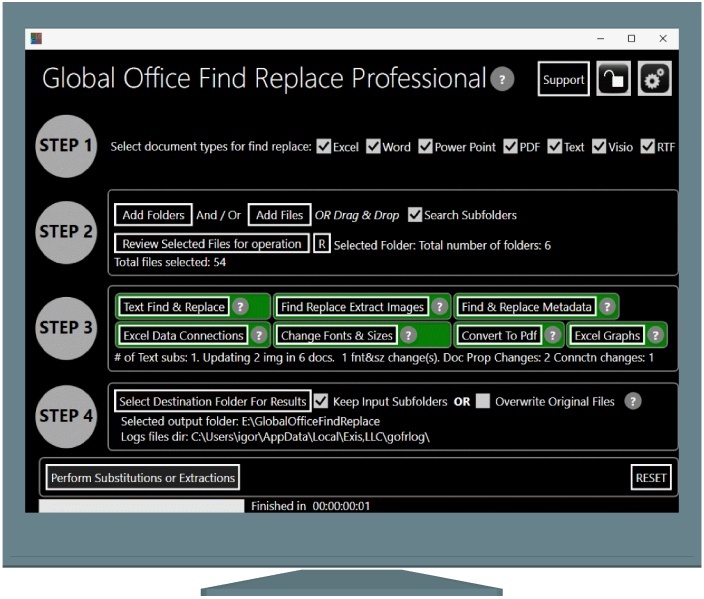 Use an optional Excel template to load all your find and replace operations! Find and Replace company logo! 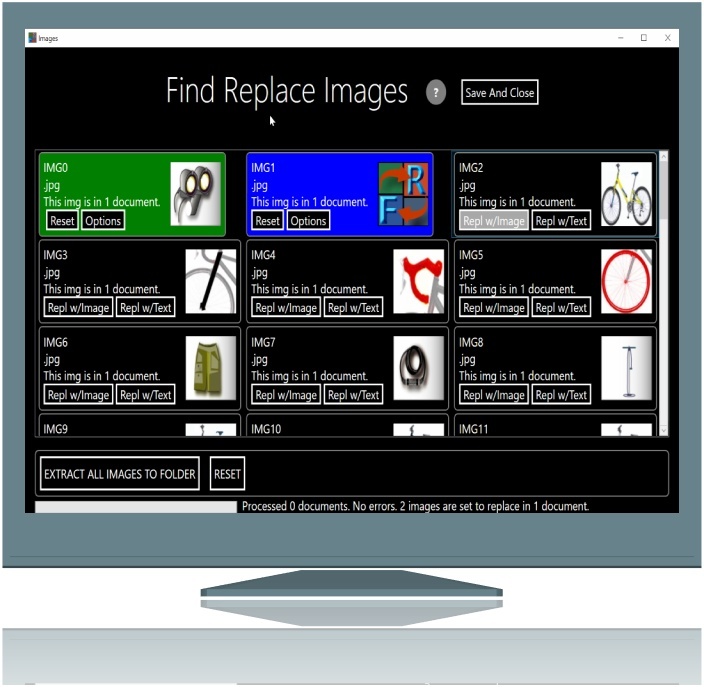 Extract all images from your word,excel,ppt documents without having to open them. Convert all Word,Excel,PPT,Visio documents to PDF! 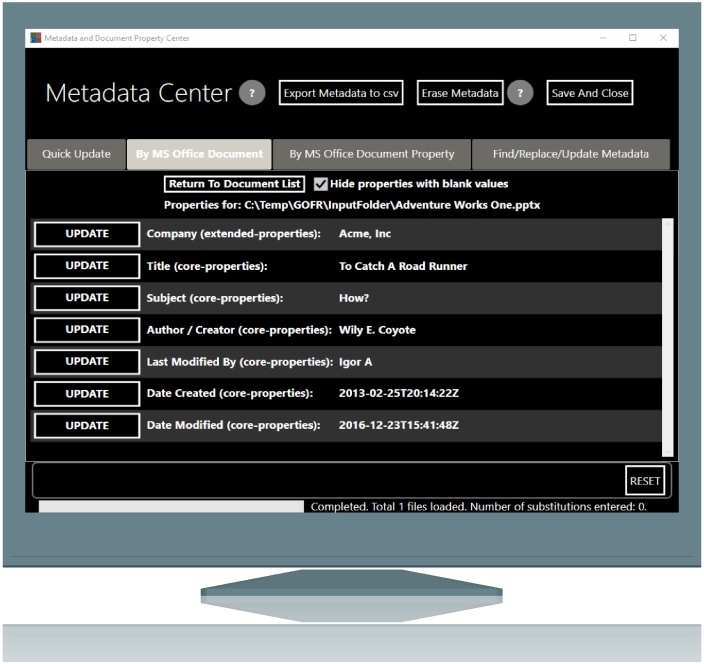 Works with Word (docx), Power Point (pptx), Excel (xlsx), Visio (vsdx) and text files (.txt, .csv, or custom) Watch a brief video demonstration here! Microsoft Office does NOT need to be installed! Replace all or a part of a Connection String in ALL EXCEL documents at once. 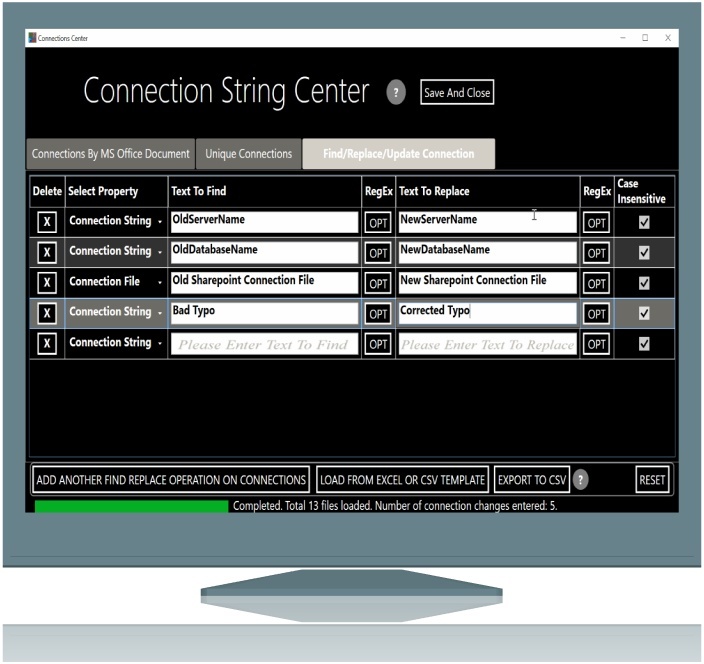 View ALL connection strings for ALL EXCEL documents on computer in one convenient location. Export all metadata and connection strings to csv. Fix location of the sharepoint shared conneciton in ALL excel documents at once. Target specific areas for substitution: Body, Header, Footer, Hyperlinks, FootNotes, etc. Works with all languages, Chinese is supported!